The festive season is the perfect time to make memories. Whether you’re taking a trip to the local Christmas market, photographing the kids opening presents on Christmas Day or getting that all-important group photo at your annual festive drinks, we’ve put together a handy guide to make sure you can capture those special moments. Read on to find out how to take photographs you’ll be proud to display on your mantlepiece. From working with lighting to how you should angle your camera and where you should stand, these tips will help improve even the most basic snapshot. Or, check out our digital camera guides and reviews to find the perfect one for your seasonal snaps. One of the most important things about taking a photograph is the lighting, and there are lots of ways to avoid photos that are too dark or too bright. Most photos will look best in natural light, so take photos outside if you can – you should get a bright and clear snapshot. Often direct sunlight can be very harsh, so standing in the shade or taking advantage of the clouds can help. If you’re inside, try using natural light entering through doors or windows. However, with winter weather and the days getting darker sooner, it can be difficult to get the lighting just right. If you tend to take photos on your camera phone, these will often struggle in low light and it’s worth investing in a digital camera which can handle whatever lighting conditions you’re working with. Check out our Best Buy compact cameras and make sure to look at our star rating for image quality in low light. Of course, you’ll most likely have a built-in flash, but only use this when it will make a difference. It tends to work best when you’re around two to four metres from your subjects. It’s worth noting that built-in camera flash can cause harsh lighting or washed-out pictures, so it’s often better to work with your camera’s manual settings, which are explained below. Framing and composing photos can be daunting if you’re new to photography. But with a few easy composition tips, you’ll be taking photos like a pro. When deciding how to angle your photograph, try to have the camera level to the subjects. If you’re too high or too low you’ll often get an image where your friends and family aren’t looking their best. 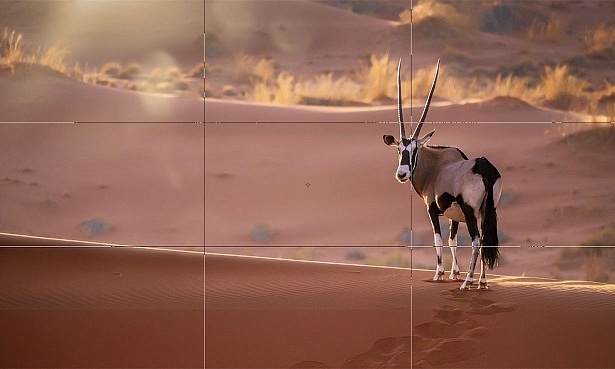 You may have heard of the ‘rule of thirds’ before. This is super important for photo composition and is easy to learn. It’ll help you arrange the subjects and objects within your frame. The idea is to essentially split your photo into thirds, both horizontally and vertically. You’ll be left with a grid and nine equal sections. It can be easy to place your subject in the centre of the frame, but you’ll find the image looks better if your focal point is at the left, right, top or bottom. Where these lines cross will be where you can position your focal point for the perfect shot. You can either imagine this while you’re framing the shot, or you can change your settings on your digital camera to display the lines for you. See the results of our digital camera tests and guides on how to buy them. Where you’re standing is key, and staying at a distance can help you get the perfect ‘candid’ picture. 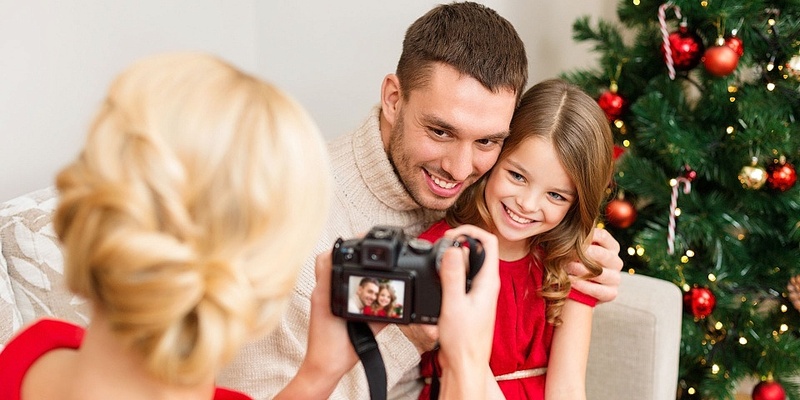 Taking a posed photo can lack emotion and look forced, so try taking pictures while your friends and family are acting naturally, to capture the festive spirit. Using the zoom on your camera can help as you’ll be able to stay unnoticed but get zoom in close enough to frame the shot. Check out our bridge camera reviews to find a camera which can zoom in close without compromising on picture quality. 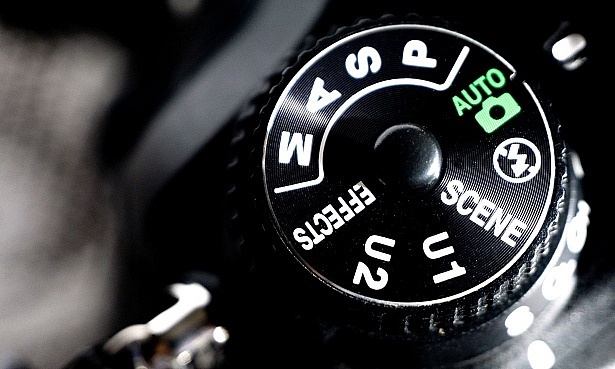 You may have noticed that your camera has different ‘scene’ modes. They’ll often be small icons on your camera’s function or control wheel such as a face (portrait mode), flower (macro mode) or mountain (landscape mode). You’ll perhaps also find settings such as night mode or sports mode. These are pre-set, so they’ll each have their own aperture, ISO and shutter speed settings to bring out the best in the scene you’re shooting. They’re handy if you’re not yet confident with manual mode or want to capture something quickly. Whether you’re using your smartphone or a digital camera, you’ll likely also have a ‘continuous shooting mode’ or ‘burst’ mode. Use this – it’ll take lots of images consecutively, so you can pick the best and make more room for errors. If you’ve got a premium compact, DSLR or mirrorless camera, it’s likely you’re going to be able to manually focus as well as set the aperture, shutter speed and ISO. Your camera will likely, in addition, have an auto mode as well as priority mode. Priority mode will let you focus on one setting (aperture priority and shutter speed priority) and the camera will change the other setting for you. While auto or priority modes will capture good photos, in order to get the best shots and most customisation and control, it’s worth learning what each setting does and when to change them yourself. Essentially the three settings determine how much light is coming in and, when balanced perfectly, you should get a perfectly exposed photo. ISO depends on how much light is in your photo. If you have a lot of light, you can set your ISO lower and this will result in a clear, high-quality photo. If you’re working with low light, you can set the ISO higher, your sensor will be more sensitive to light, and it will brighten your photo. However, this might result in a grainier photo. Generally, keeping your ISO as low as possible will make your photos look clearer and better quality. Aperture is the hole in the back of the lens, through which light passes. Changing this will allow in more or less light and will determine how much of the scene is in focus. If your aperture is wide (a low number) your camera will have a smaller depth of field. You can use this to focus on a subject or object and have a blurred background, known as ‘bokeh’. If you want the whole photo to be in focus, set a narrow aperture (a high number). You can play around with this in conjunction with ISO and shutter speed. If there is more light being allowed in (a wide aperture), you can lower your ISO in poor light and improve picture quality. If your aperture is narrow, it’ll let less light to your sensor, which will mean your shutter speed will be slower. Alternatively, if your aperture is wide, you’ll have more light and can take photos quickly, with a fast shutter speed. Shutter speed is how long your camera’s shutter stays open. It’s measured in fractions of a second. The longer it’s open, the more light is let in. Setting your shutter speed will affect the sharpness of your subject. If your shutter speed is slower, it’ll allow for more blur, especially if the subjects or objects are moving. Setting a faster shutter speed will create sharper photos, essentially freezing any motion. You can play around with these settings for stylistic effects. As a rule, setting your shutter speed somewhere in the mid-range is good – it’ll freeze fast motion but you won’t have to worry about camera shake. Following these five steps will have you taking photos like a pro in no time. Want to display your photos? Check out our Best Buy printers. Or if you’re looking for more professional photo printing, we’ve reviewed and rated a range of online printing services.